There are few greater names in Otago sports than Yvette Williams. The Olympic long jump champion died in Auckland on Saturday night, aged 89. Born in Dunedin and educated at Otago Girls' High School, Williams, whose married name was Yvette Corlett, became New Zealand's first female Olympic gold medallist. Her jump of 6.24m was 1cm shy of the then-world record, propelling her to long jump gold at the 1952 Helsinki Games. Two years later she jumped 4cm further to break the record. Her achievements and subsequent recognition broke countless barriers for women in New Zealand sport. "Yvette Williams was a trailblazer and a true beacon of what is possible for women in sport," New Zealand Olympic Committee president Mike Stanley said. "Her place in New Zealand's history is unique and her contribution to sport has opened doors. "She was a treasured member of the New Zealand team and is one of our greatest ever athletes. She will be missed by all who knew her." She was named New Zealand Sportsperson of the 1950s and the athlete of the century in Peter Heidenstrom's book Athletes of the Century. Alongside that she was the first woman to be named New Zealand Sportsman of the Year in 1950, repeating the effort in 1952. In 2011 she appeared twice in the Otago Daily Times' list of the top 150 moments in Otago sporting history. Her triple gold medal effort at the 1954 Vancouver Commonwealth Games - in which she won the long jump, shot put and discus - landed in 26th spot. Meanwhile, her Olympic gold effort was surpassed only by Danyon Loader's double Olympic golds in 1996. 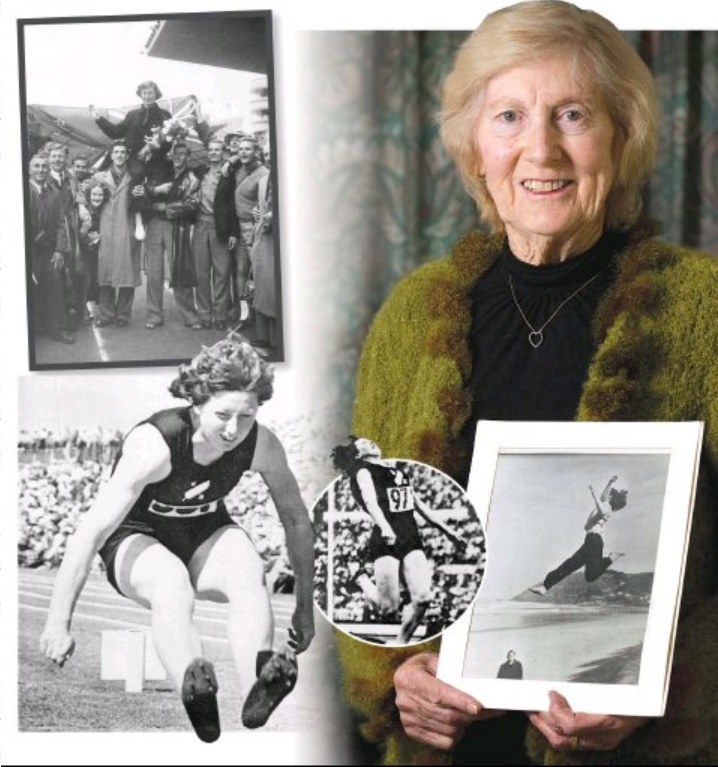 Former Otago Daily Times athletics writer Alistair McMurran wrote there was "no-one to challenge her as the greatest Otago track and field athlete of all time". It was basketball and netball that initially attracted Williams, representing New Zealand in the former. At the age of 17 she joined the Otago Ladies Athletics Club and linked with coach Jim Bellwood. They perfected her technique on her "favourite training ground" - the sandhills of St Clair Beach. Her first national title came in the shot put, in 1947. She kept that title for eight years, while winning the first of seven consecutive long jump titles a year later. Discus, javelin and 80m hurdles titles followed. In 1950 she won her first Commonwealth Games medal - gold in the long jump in Auckland. She retired from competitive athletics in 1954. Yvette married Buddy Corlett and had four children, spending the majority of her adult life in Auckland. She remained heavily involved in sports administration and coaching, while also teaching physical education. Her brother, Roy, followed her success in 1966, when he won Commonwealth Games gold in the decathlon. In 2002, she returned to Helsinki for the 50th anniversary of the 1952 Games, receiving a standing ovation from a crowd of 20,000. Mrs Corlett's home city has a permanent reminder of her. Ryman Healthcare named a retirement village, in Highgate, Dunedin, after her, something the Dunedin-raised former athletics star was delighted about. "I've got an athletics track named after me and now a retirement village. I've gone from one extreme to the other," Mrs Corlett said at the opening ceremony of the village in 2011.